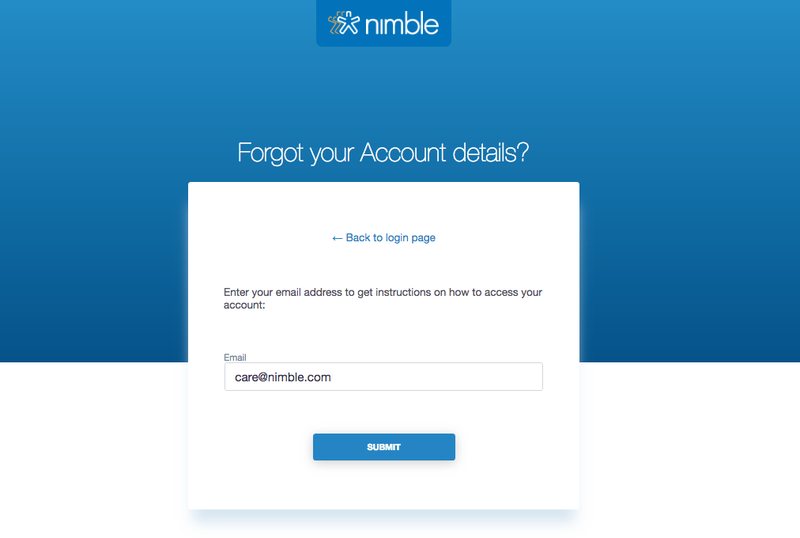 Learn how to reset your password to gain access to your Nimble account. 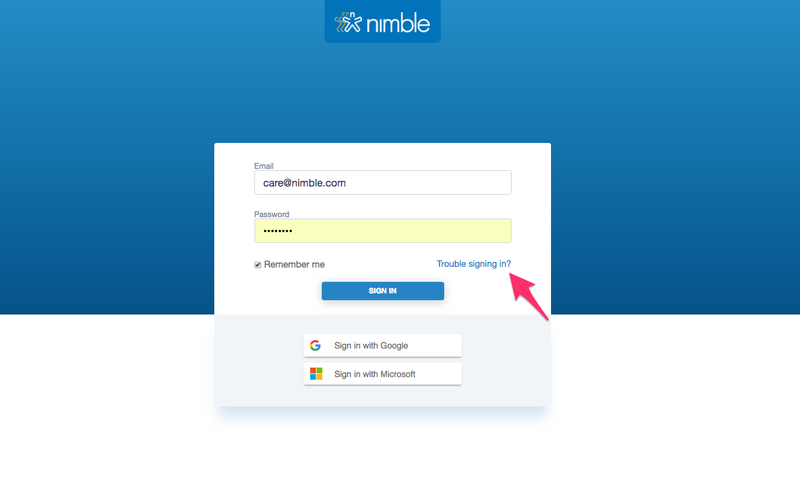 You can reset your password by going to our "Sign in" page at app.nimble.com and clicking on "Trouble signing in." You'll be prompted to enter your email address then click "Submit". 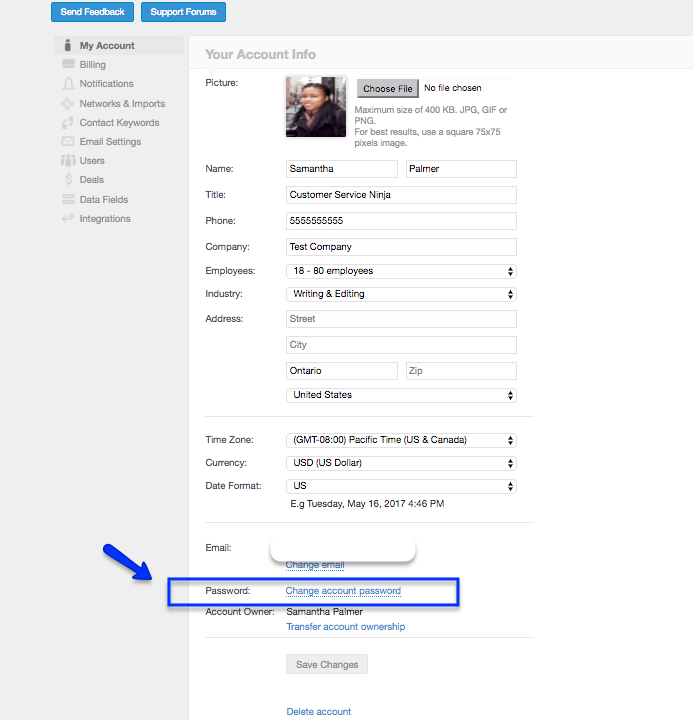 A temporary password will be sent to the email address of the registered Nimble account. Use the temporary password to sign into your account (at app.nimble.com) then go to Settings >> My Account and create a new password.